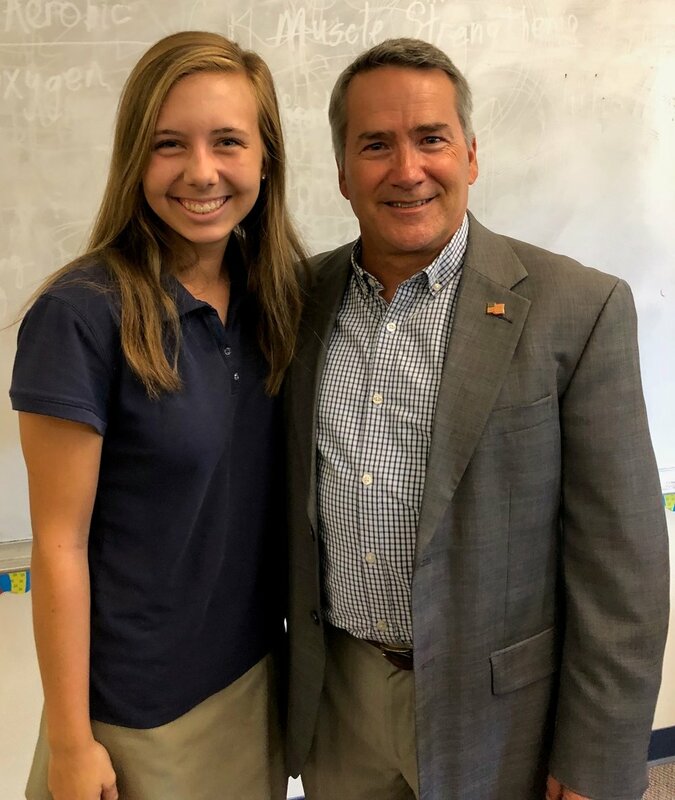 We had the pleasure of meeting Congressman Jody Hice last Wednesday at Loganville Christian Academy. U.S. Congressman Hice proudly serves Georgia’s 10th congressional district where the majority of our students reside. Congressman Hice spoke to LCA’s dual enrollment senior government students about his responsibilities in Washington, his daily routine, his current committees in the House of Representatives, and about holding true to his faith while serving as a politician. The students were completely engaged in what he had to say. 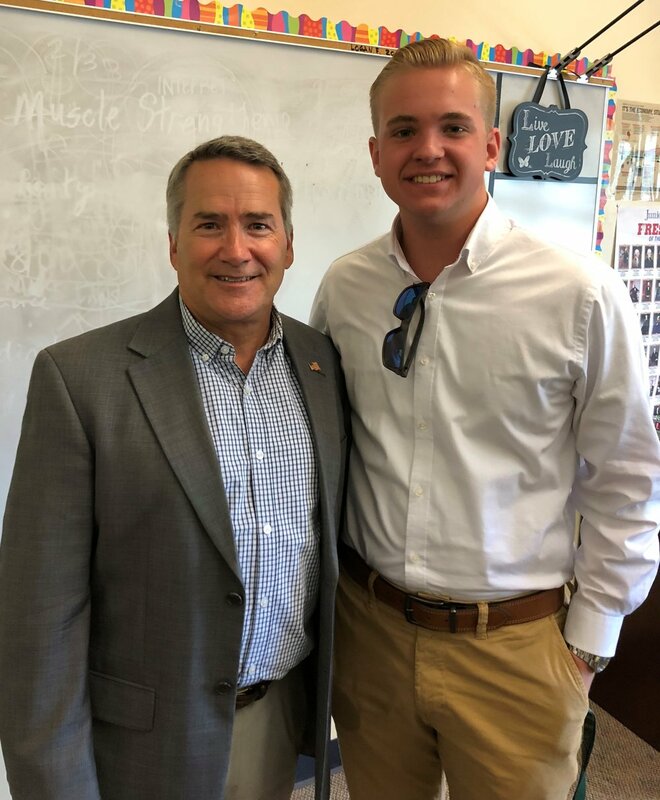 Senior Dylan Alvarez said, "When Congressman Jody Hice came to visit my high school American Government class, he discussed his progression from being a church pastor to becoming a congressman. Hice’s speech on how he started off by facing off against the American Civil Liberties Union then ran for a seat in Congress all the while staying faithful and reliant on God inspired me and showed me that through God anything is possible. Even now in office, Jody Hice relies on God to get him through the day. This experience was important to me because it showed me that while we think we know what the future has in store for us, only God truly knows and will mold us to do His work."